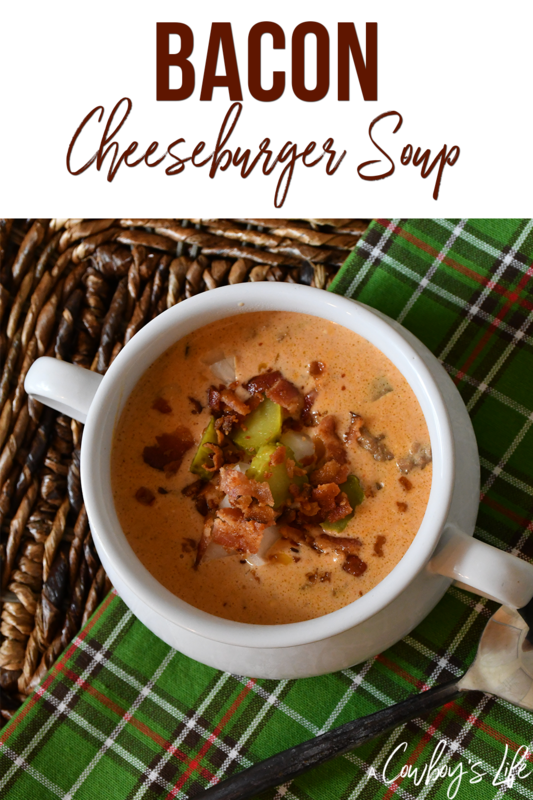 This soup is perfect for cold winter nights. It tastes like a cheeseburger and full of flavor that you won’t even miss the bun! 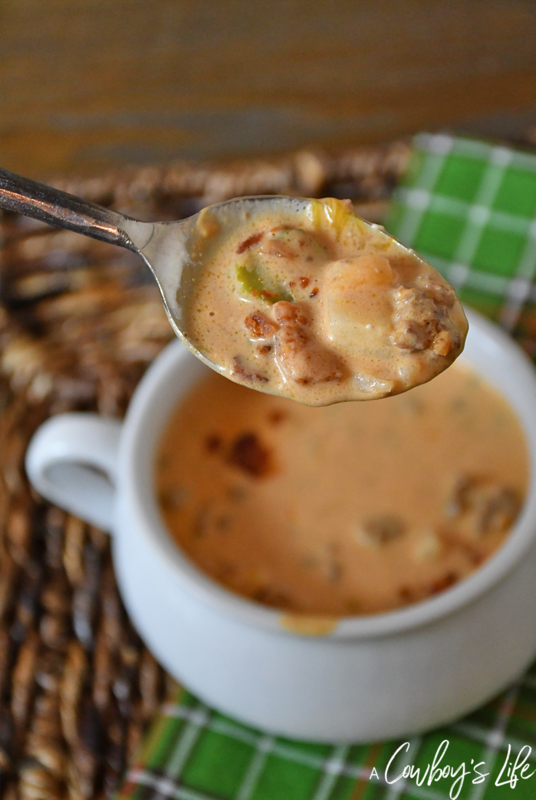 This hearty soup is perfect for cold nights! It’s easy to make and tastes amazing! It’s also Keto friendly, which is great for those that are watching their carb intake. Cook bacon until done. Once cooled, chop and set aside. In same pan you fried bacon, cook ground beef until done. In a pot add all the spices and butter. Let cook for about 1 minute. Add in the broth, tomato paste, mustard, cheese and cream cheese. Once cream cheese has melted, add in heavy cream and pickles. Add in beef and simmer for 10 minutes. 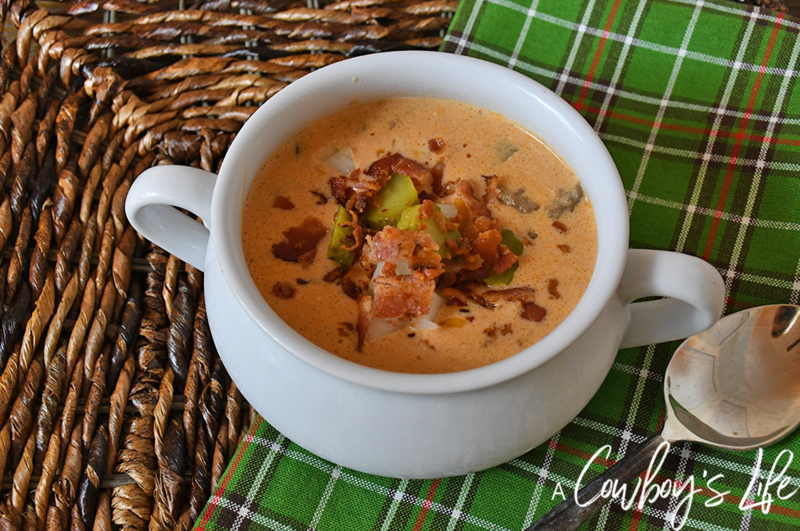 Serve in bowls and top with shredded cheese, bacon, onion, pickle slices and bacon. The soup tastes and smells amazing!